It’s so easy to succumb to routine. To stick to the same old thing – the things we are good at, the things we like and the things that keep us in our comfort zone. In my professional life, I tend to say yes to everything. Particularly the things that scare me because I know I will learn from them, even if I fail. But in my personal life, I don’t challenge myself. That’s 1,609 lengths in total, which is 134 lengths a week. Phew. The challenge starts on 14 September and I’ll be blogging about my progress. If you’d like to join me in this challenge, you can sign up here. I’m quite looking forward to pushing myself, both mentally and physically. When you’re swimming, you’re left with nothing but your own thoughts and I vow to use that time wisely. Perhaps I will finally work out the storyline to that novel I keep wanting to write. If you’d like to sponsor me and help Aspire, please visit my JustGiving page. Will I finally write that book? Well done and good luck Kirst!! You keep pushing those boundaries girl! Wow. I wish I was fit enough for this. 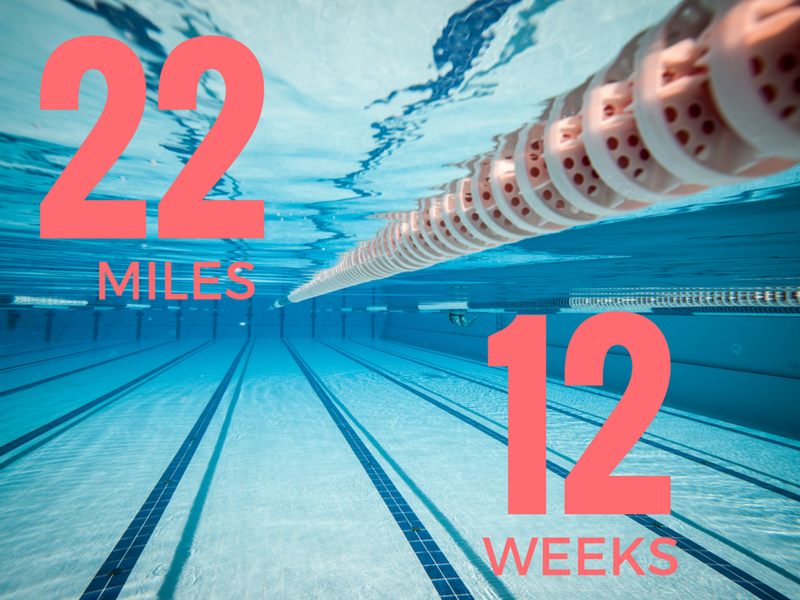 Right now, this would take me about 64 days of swimming and I’m not sure I have the energy. Maybe soon!